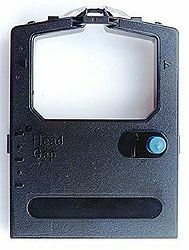 Premium Quality 52103601 Black Ribbon compatible with the Okidata 3410, 8360, 8370, ET8550, ML-393, ML-393C, ML-395, ML-395G, ML-4400C, ML-4500. The use of compatible supplies does not void your printer warranty. Premium Quality 52106001 Black Ribbon (6/pk) compatible with the Okidata 520, 521, 590, 591, 592, 8358SC. The use of compatible supplies does not void your printer warranty. 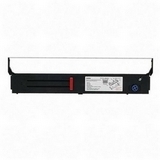 Premium Quality 60560 Black Printer Ribbon compatible with the Okidata ML 182/ 184/ 320/ 390 Impact. The use of compatible supplies does not void your printer warranty. Premium Quality 40629302 Black Printer Ribbon (1 pk) compatible with the Okidata PaceMark 4410. The use of compatible supplies does not void your printer warranty. Premium Quality 42377801 Black Printer Ribbon (6 pk) compatible with the Okidata ML 420/ 421/ 490/ 491/ 720/ 721/ 790/ 791. The use of compatible supplies does not void your printer warranty. Premium Quality 52102001 Black Printer Ribbon (6 pk) compatible with the Okidata ML 100/ 120/ 172/ 280/ 320/ 321/ 3320/ 3321/ ML 180/ 190. The use of compatible supplies does not void your printer warranty.